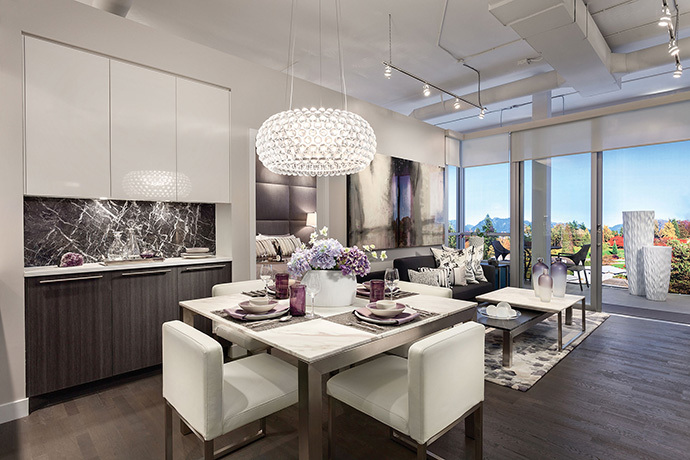 The most prestigious Westside Vancouver homes are now selling at 35 Park West. The convenient upper west side condominiums are centrally located and provide views of Queen Elizabeth Park and Cambie’s Heritage Boulevard. In addition, you can walk to Oakridge Centre, great restaurants, shopping, services and major transit routes. The modern and distinctive architecture at 35 Park West Vancouver Westside condos is by award winning IBI Group Architects. The homes will feature flexible and spacious floor plans along with large decks and private rooftop terraces (for the penthouse suites). The low-rise residential buildings will be built with solid concrete construction and all homes come with central air conditioning. 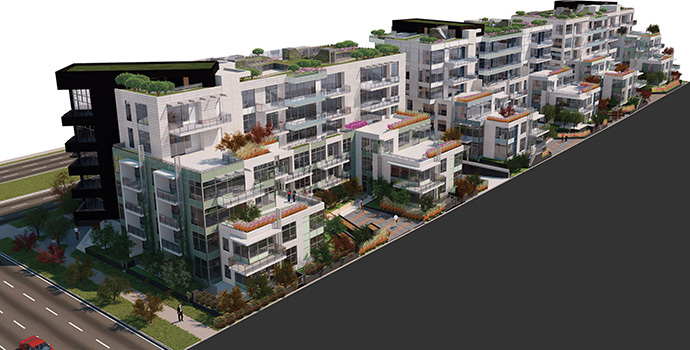 The project will feature 3 U-shaped buildings offering 183 homes for sale and the presentation centre is now open at 5864 Cambie Street Vancouver. For more information about the 35 Park West Vancouver condos, please visit www.35parkwest.com or simply register your interest at the top of this page. The interior living spaces are designed by award winning Cristina Oberti Interior Design and they are both sophisticated and stylish. There are two professionally designed and selected colour schemes called Steinway and Madison. All homes come with over height nine foot ceilings and the top floor homes have incredible 10 foot ceiling heights. The Westside Vancouver 35 Park West condos will also feature engineered hardwood floors throughout the living and dining rooms, kitchen and den. The bedrooms have luxurious carpeting for your added comfort. The luxury homes also come with Blomberg stacked washer/dryer and sleek roller blinds throughout for privacy. The luxurious bathrooms at the Westside Vancouver 35 Park West Residences include contemporary cabinetry with vertical wood grain finish, smooth quartz counters with backsplash and sophisticated porcelain large format floor and wall tile work. Also, the polished porcelain shower mosaic floor tile and vanity bar lights are custom and beautiful. The bathrooms also feature relaxing Hytec bath tub with Kohler fixtures in addition to Kohler under mount sink with Kohler faucet and a Kohler toilet. The refined kitchens will feature designer appliances including a Bosch integrated fridge, Miele integrated dishwasher, Miele wall oven, Miele gas cooktop, Miele hood fan and Pansonic microwave. The 1 bedroom suites will get 24” appliances whilst most two bedroom homes come with larger 30” wide appliances. 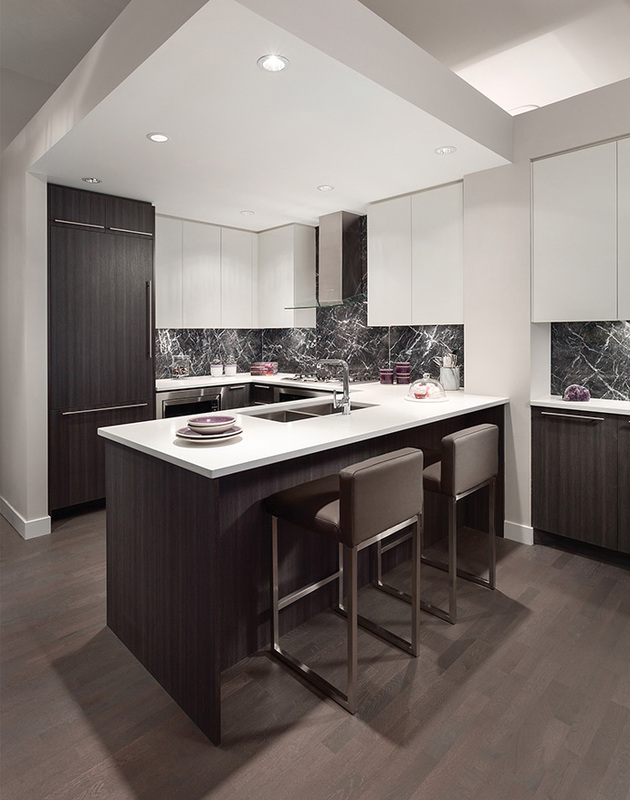 Other kitchen features at the Westside Vancouver 35 Park West residences include pot lights, Kohler under mount sink, durable quartz counters with matching marble backsplashes and modern cabinetry with wood grain laminate finish. 35 Park West is a home of substance and style. Situated in the heart of the coveted Queen Elizabeth Park luxury enclave, the three distinctive six-storey buildings are positioned along a curvature in the tree-lined heritage boulevard, just steps away from the tranquil greenery of Queen Elizabeth Park. The innovative architecture and contemporary design, enhanced by an elegant blend of white stone, create a landmark community and homes of exceptional prestige and quality. 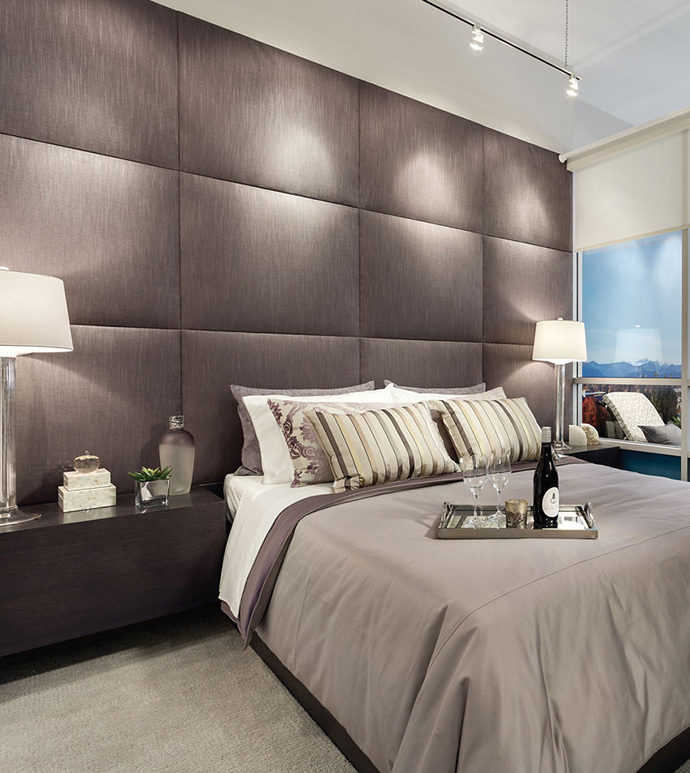 The cascading design at 35 Park West Vancouver Westside homes allow for large decks, and every penthouse residence has aprivate rooftop terrace. A beautifully landscaped pedestrian courtyard is nestled into all three U-shaped buildings, adding to the greenery and tranquil ambiance. Richly finished and contemporary in design, the 183 condominium residences cater to urbanites with sophisticated tastes. Spacious single-level floor plans range one bedroom to three bedrooms plus den. End suites optimize views with oversize windows angled in two directions. Interiors at the presale Vancouver 35 Park West condos are customized with a choice of two professionally designed colour schemes: Madison and Steinway. The Cambie neighbourhood is full of cafes, bistros, tea houses and fine dining establishments. Find everything here, from seafood and sushi to a gluten-free bakery. 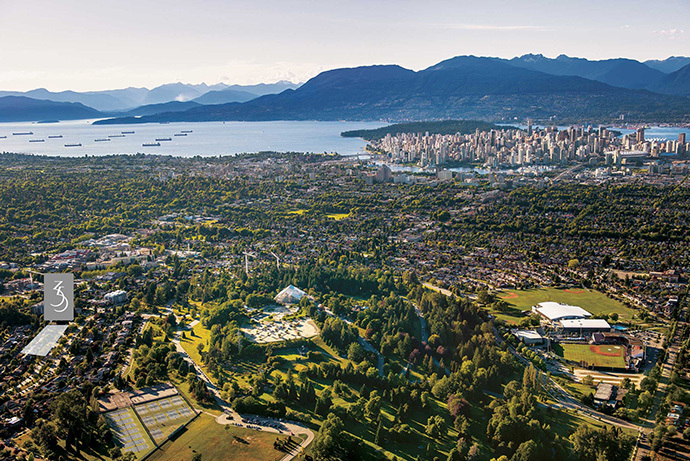 A treasure trove of attractions withhidden nooks, magnificent floral displays, and meandering pathways that lead to the highest spot on Vancouver’s west side and a magnificent viewpoint. Hop on a northbound train and be downtown in minutes, or head south to Richmond and YVR International Airport. A local favourite: the contoured, treelined fairways of Langara Golf Course are just minutes away. Within a short walk of 35 Park West Vancouver condos is the city’s premiere destination for luxury shopping, Oakridge Centre, home to such high-end international brands as Tiffany & Co., Hugo Boss, Coach and Harry Rosen. The surrounding neighbourhood also has a great selection of specialty boutiques, coffee shops, fine dining restaurants and entertainment. Easy access to two rapid transit Canada Line stations adds the beauty of convenience. Shop the world, close to home. With an impressive line-up of luxury brands on the leading edge of fashion, Oakridge Centre is Vancouver’s most stylish shopping destination.